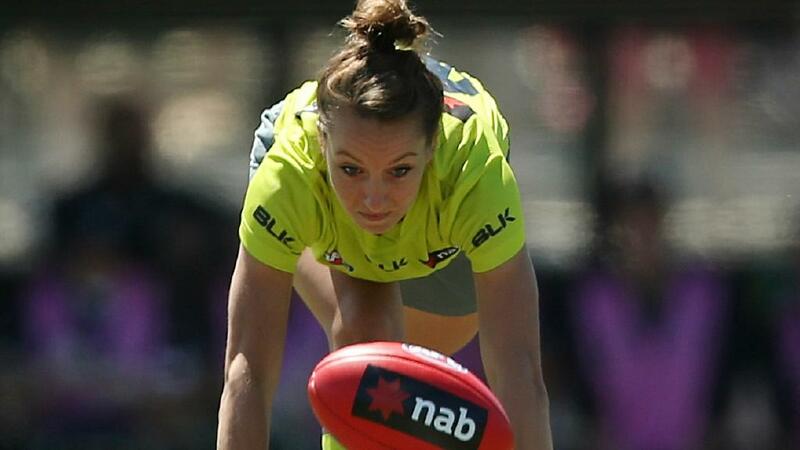 Two umpires will celebrate milestones on Sunday afternoon at the St Kilda v Gold Coast Suns game – Brendan ‘Hosko’ Hosking will umpire his 100th AFL game alongside Hayden Gavine who walks onto the ground to umpire his 1st AFL game. 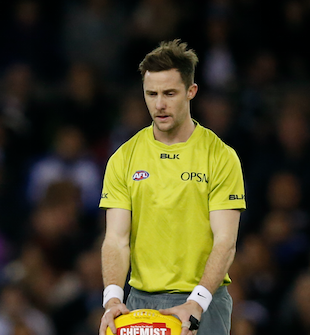 Brendan commenced his umpiring career back in 2003 with the Essendon District Football League before moving to the VFL where he umpired the TAC Cup Grand Final in 2010 and the VFL Grand Final in 2011. He was promoted to the AFL list in 2012 and umpired his first AFL game between GWS and West Coast Eagles in round 3. 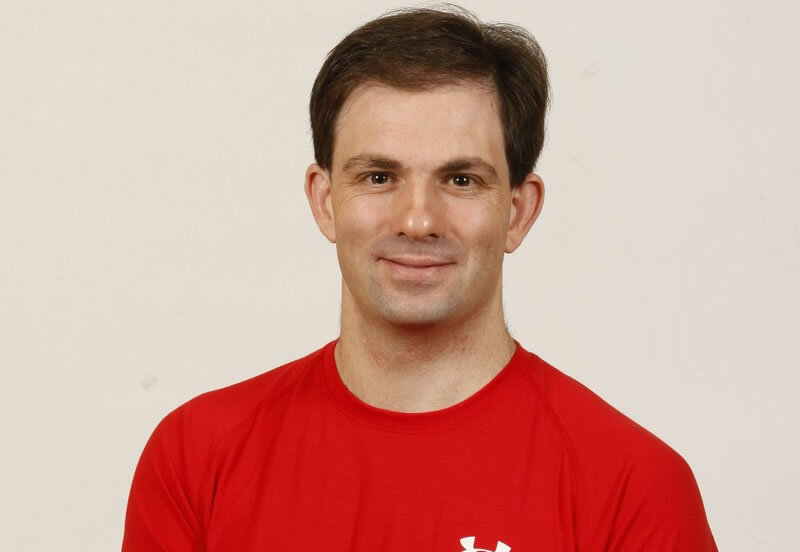 He remembers getting a phone call from Rowan Sawers, after someone injured themselves the night before, telling him he was umpiring the game that he was originally planned sitting the bench for. In reaching his 100 game milestone, Brendan believes part of his success has been attributed to his durability and dealing effectively with the load of training and games has allowed him to be considered for selection most weeks during his five and a half years on the list. According to an in-office source (an AFL boundary umpire intern with red hair), Brendan is a lover of the tanning oil and can be seen poolside at any interstate game in the warmer climates sunning himself and chilling out. 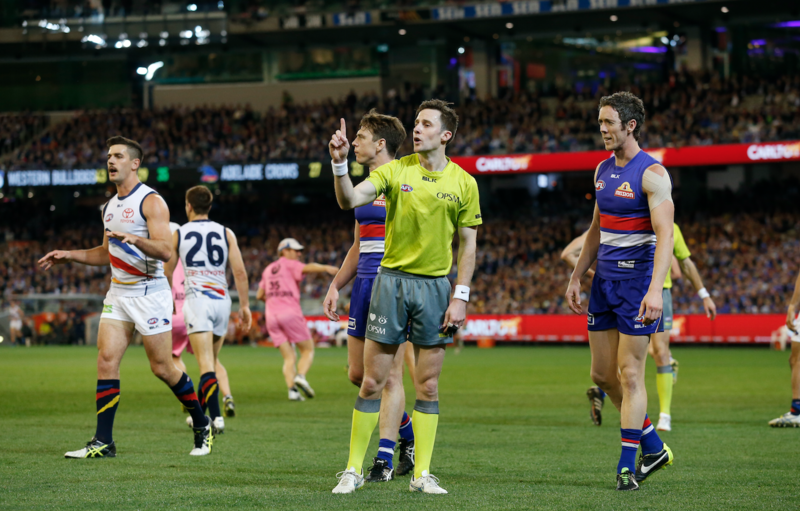 Hosko’s career highlight to date was his appointment to the Western Bulldogs v Adelaide Elimination Final in 2015. His build up for this weekend will be no different to others. Doing two games last weekend in the 4-umpire system meant it arrived a week earlier than expected. However, he is thankful the game is in Melbourne so family and friends can attend to support and celebrate with him. One thing Hosko will do is buy a copy of the AFL Record, something he has done for each of the 99 games before this one. I have been assured by Brendan that he will complete the ‘Kids Corner’ section of the Record, something he does each week, prior to the game. Well done mate, have a great game and enjoy the first of many milestones to come.